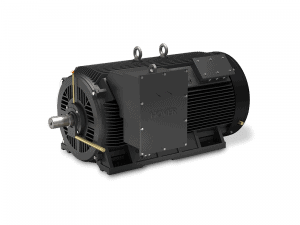 Hoyer Medium Voltage Motors are designed for high performance. They are suitable for most markets and applications where high output motors are needed. Our range of medium voltage motors is used across various markets and industries. The demand for electrical driven heavy duty applications is increasing and medium voltage motors are often ideal when a high output is needed. A higher voltage allows a lower current which enables the use of smaller cables to supply the application. Hereby the use of medium voltage motors can be a cost optimising solution. The lifetime is a critical element with medium voltage motors and the range is therefore tested for both electric and thermal lifetimes. All motors are tested and approved according to IEC 60034-18-32 & 42 for electric lifetime and IEC 60034-18-31 for thermal lifetime and are hereby tested for a minimum lifetime of 20,000 hours. 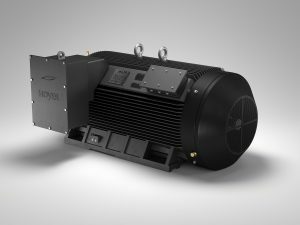 The Hoyer Medium Voltage Motors comes in three different voltage options. Standard frequency is 50 Hz. 60 Hz is available on request.